The Aspire Cleito Replacement Coil is utilized in Aspire's latest elongated atomizer apparatus, focuses on a "claptonized" Kanthal core with designs that results in less restrictive airflow and increased flavor. ASPIRE CLEITO 120 REPLACEMENT COIL:Made for the Aspire Cleito 120 tank, these are high-performance.. 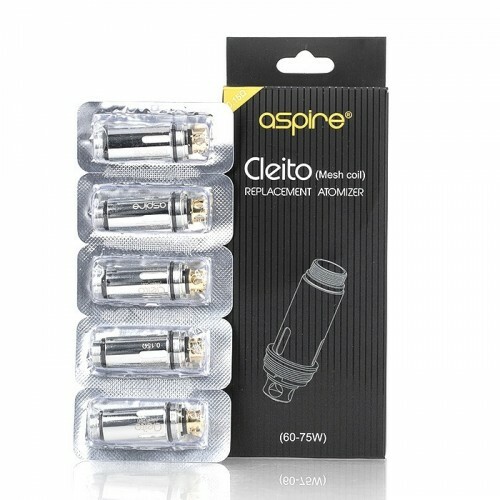 ASPIRE CLEITO REPLACEMENT COILS:Designed specifically for the Aspire Cleito tank, these coils.. ASPIRE CLEITO EXO REPLACEMENT COIL PACK The Aspire Cleito EXO Replacement Coil is a 0.16 ohm Cl.. ASPIRE BREEZE COILSThe Aspire Breeze Coils are the perfect complement to the Breeze and Breeze 2 e-.. ASPIRE BREEZE 2 COILThe Aspire Breeze 2 AIO vape coils are designed for use with the Aspire Breeze ..
ISUB COIL: Extra evaporator head to Innokin iSub. 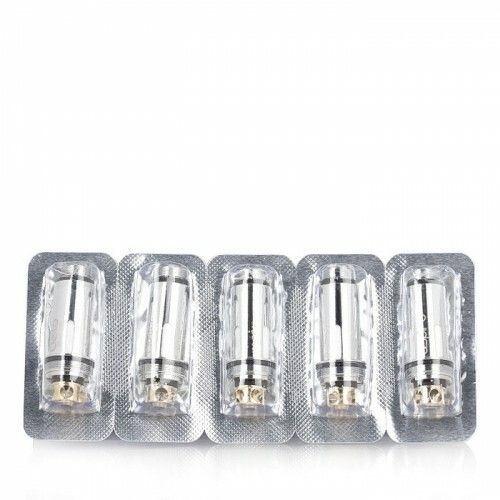 These have 0.5 ohm resistor and is made with..
INNOKIN ENDURA T18E COIL:Coil (resistance) for electronic cigarette Innokin Endura T18, 1.5O. ..
INNOKIN ICLEAR 16D COILS: Replacement atomiser coils for the Innokin iClear 16D dual coil clea..
SMOK X-PRIV BABY 80W TC MOD KITThe Smok X Priv Baby Kit is a compact sub ohm vape kit with a HD sc..